Manufacturing at Hilti is a fascinating part of the business, one that puts you right at the cutting edge of production innovation. It’s about bringing to life best-in-class products in the most inventive, cost-effective, time-efficient ways. Our aim is to create sustainable value by supporting Hilti’s status as market leader in our field. We do this by developing and testing pioneering production technologies to offer the best product availability, shortest lead times and customized products. It’s an exciting opportunity to make ideas really happen, as you transform development concepts and market demands into tangible products for our customers. It’s also a highly collaborative role, as you’ll work closely with our research and development teams. Your shared knowledge and recommendations will shape the design, build and efficiency of our business-critical manufacturing systems. If you want an international experience, there’s plenty of scope to join our overseas plants. In fact, it’s something we promote. 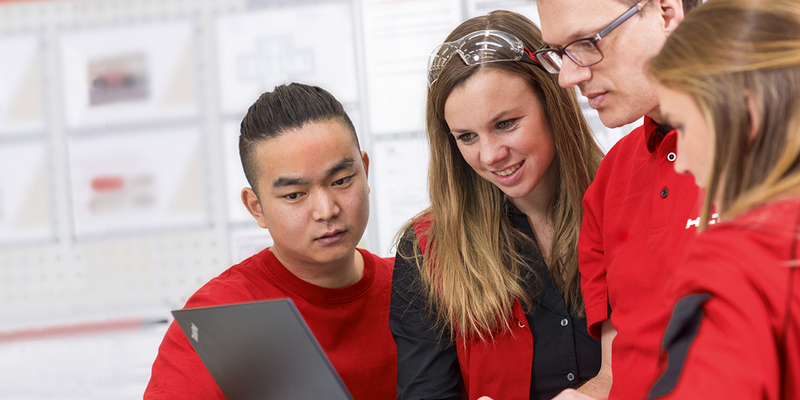 It’s how we exchange learnings between different working cultures, which we believe gives both your career and the Hilti business a valuable edge. Working at Hilti is always dynamic, with lots of responsibility from very early on. 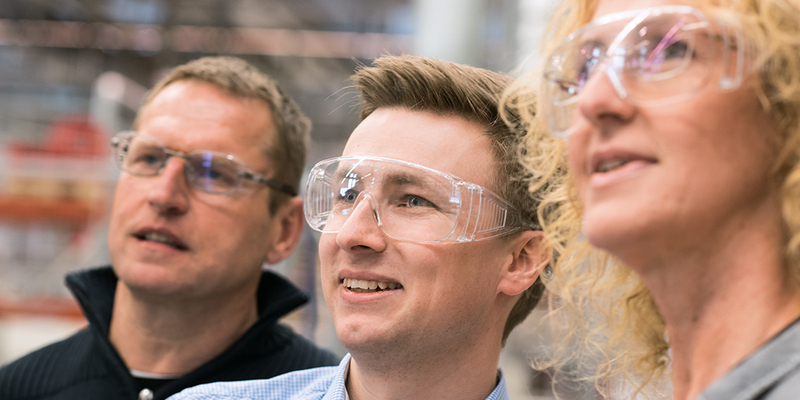 This is especially true in our manufacturing plants, where you’ll have one eye on the demands of everyday operations and one eye on the future – both yours and that of Hilti. Our manufacturing function requires a diverse mix of people from various backgrounds and experiences. Whatever insights and ideas you bring to the table, we’ll foster your initiative to challenge our ways and develop new techniques. Production and quality management – This involves working out the best, most cost-effective way of manufacturing and assembling our products, and constantly improving their value streams. The aim is to make ours the most competitive production lines in the market. Lean management – This gives you a broad overview of the whole manufacturing and assembling process, as you strive to make our global production methods – both direct and indirect – ever more efficient. Chemical engineering – This takes you to Germany or China, where our chemical production is an important and exciting part of fastening and protection business. Mechanical engineering – This sees you working with all our contrivable metal forming technologies, an area we’re researching and developing all the time. There are many opportunities to develop your skills and move around within manufacturing: you can specialize in certain areas, manage different teams and redefine your role. 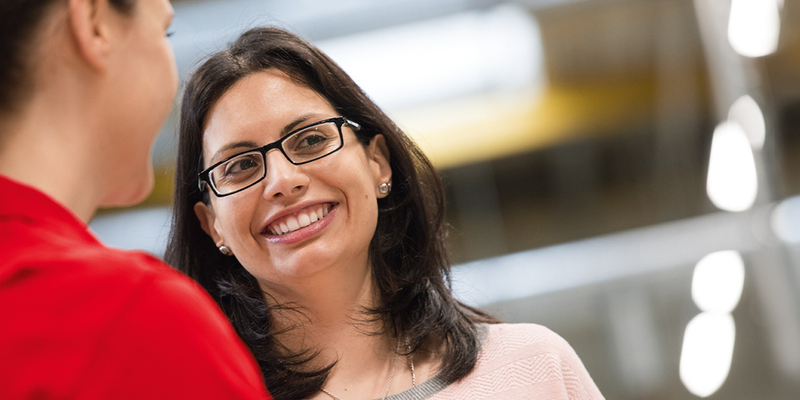 Join our team and you’ll find yourself working in a hugely collaborative and culturally diverse unit of manufacturing engineers. You’ll also benefit from our university network, where we partner with universities on a research level to complete feasibility studies and technology projects together. Our universal aim is to work between Hilti’s global plants to continually find better, faster, leaner ways of manufacturing the best quality products. Our production plants are based in Austria, Hungary, China, Mexico, India, USA, Germany and Liechtenstein, and we’ll encourage you to move between locations with a curious mind, agility to learn and eagerness to share. Show us what you’re made of and we’ll give you opportunities to develop a global career at the leading edge of manufacturing technology. While our expectations are high, we offer training to match. We’ll give you all the knowledge and support you need to be successful in your role, with one-to-one coaching and personal attention to the progression of your career.